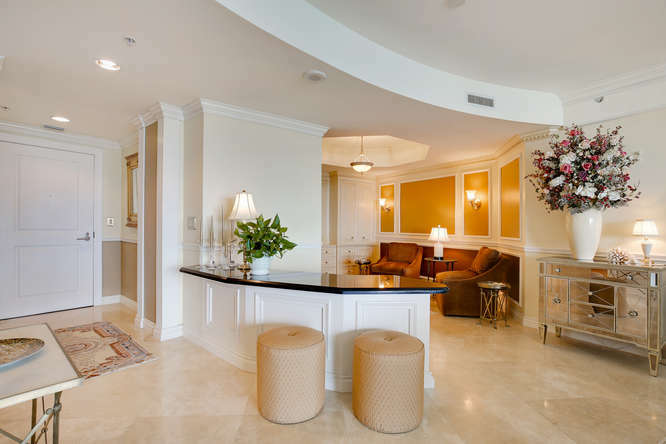 Beautiful “Villa in the Sky”, refined and elegant sky residence in the rarely available ‘8’ line at the luxurious Plaza at Oceanside. 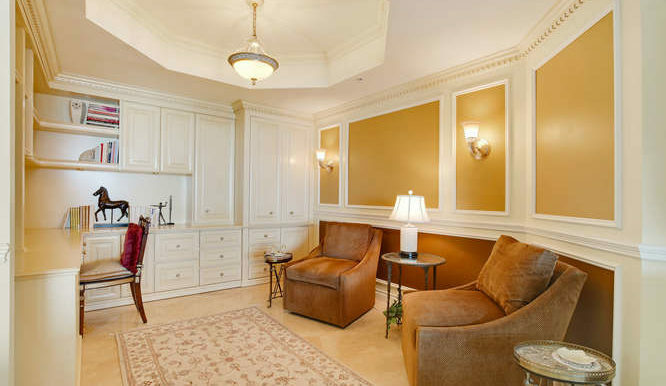 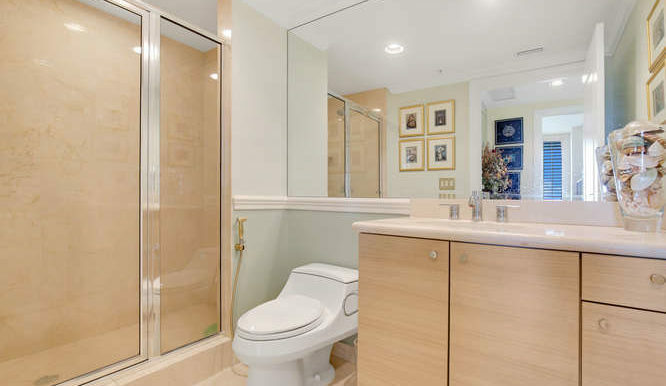 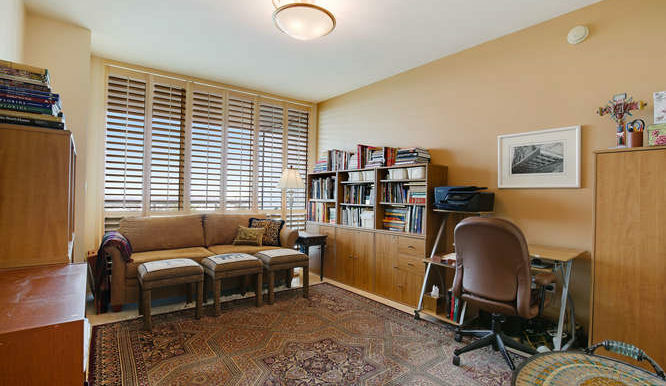 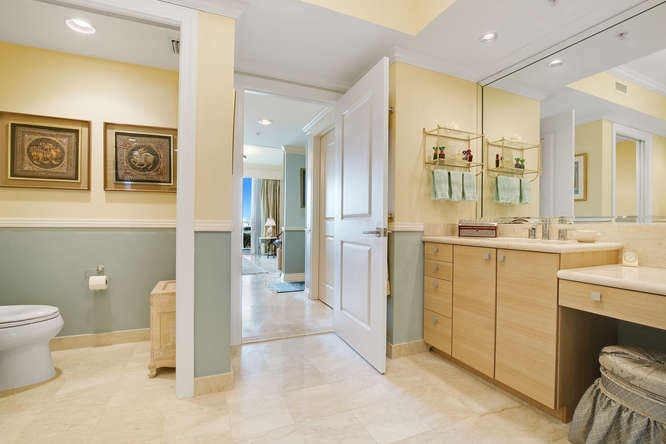 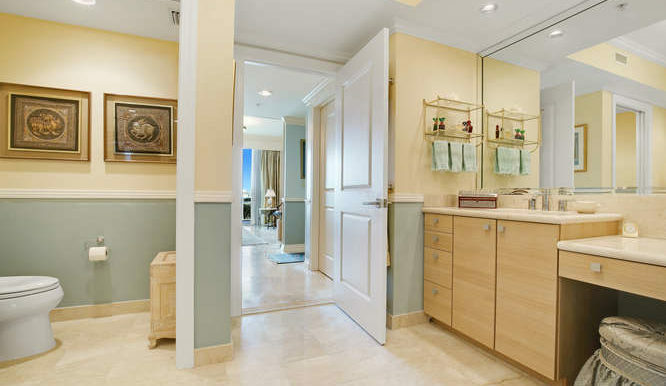 This gorgeous residence has 2 bedrooms plus a finished den and 2 baths in 1,815 sq. 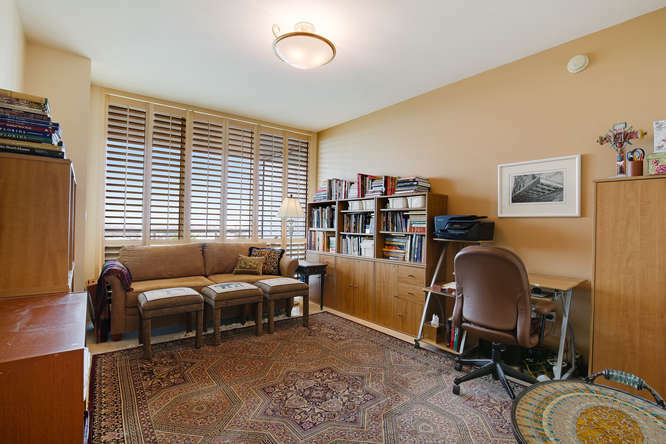 ft. of living space under air, plus an oversized terrace. 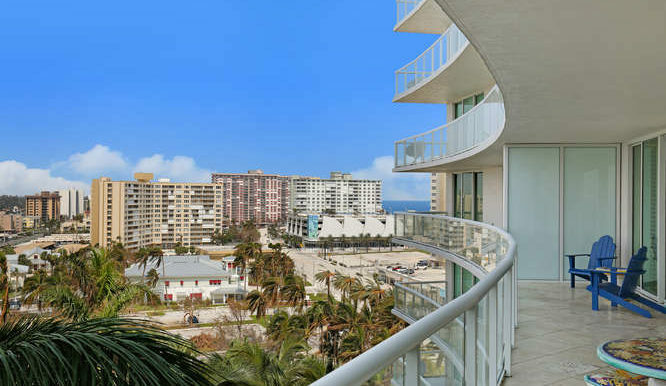 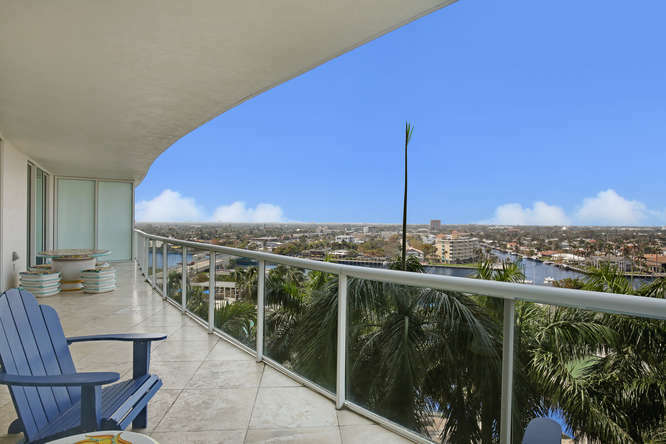 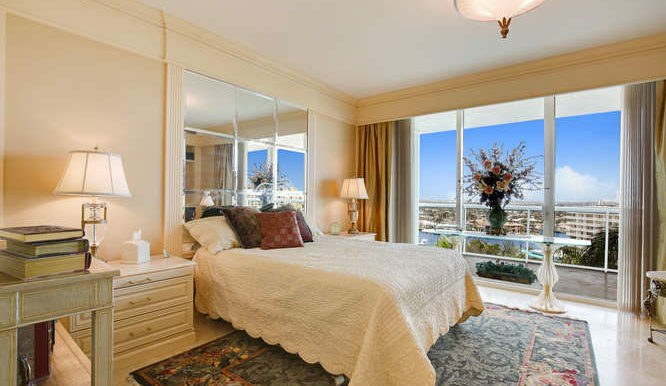 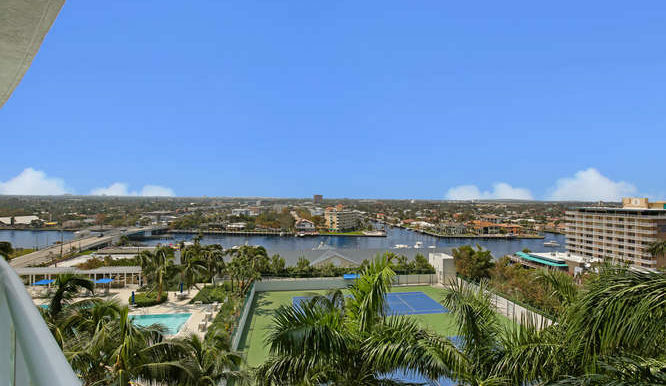 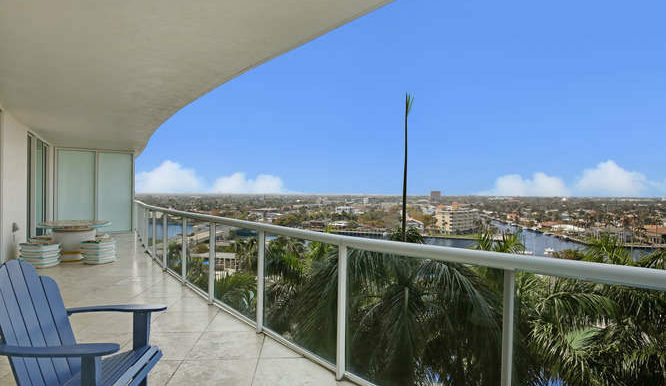 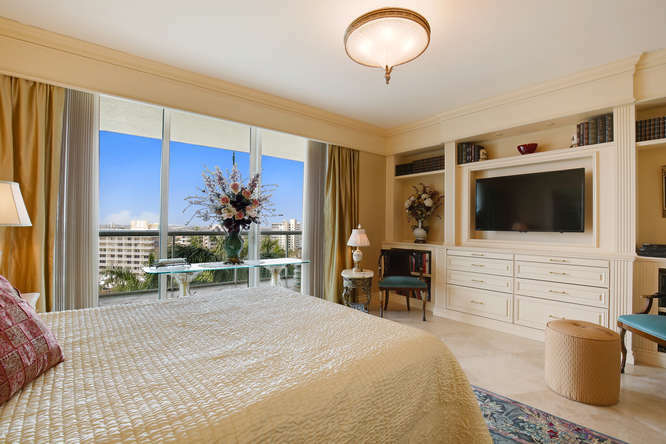 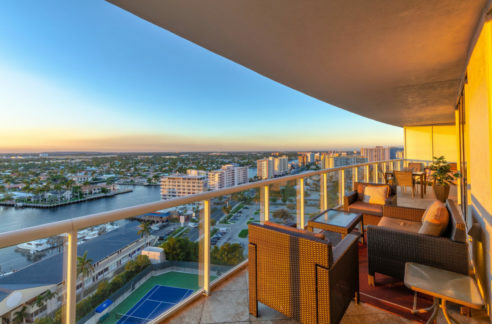 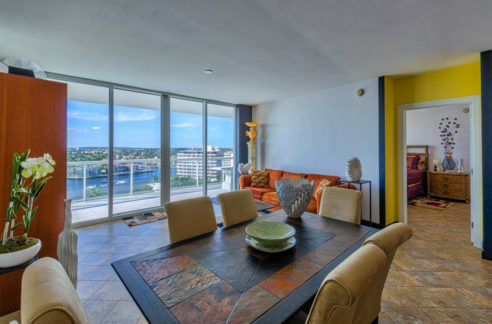 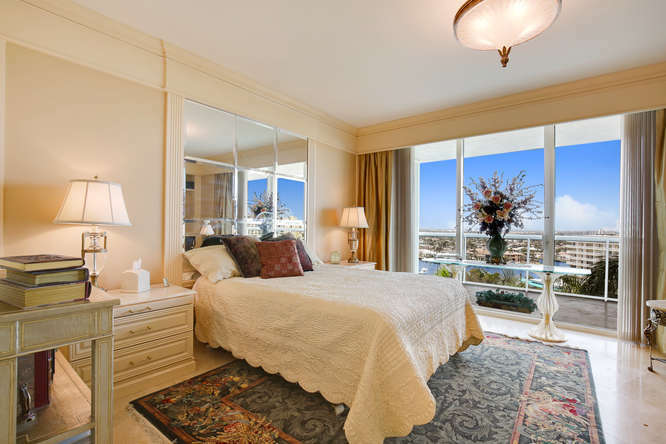 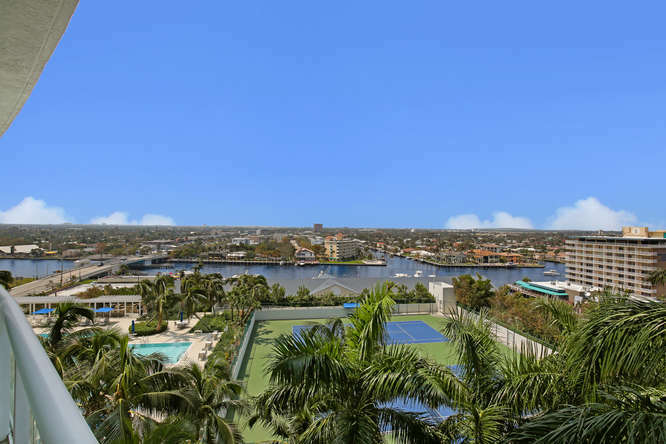 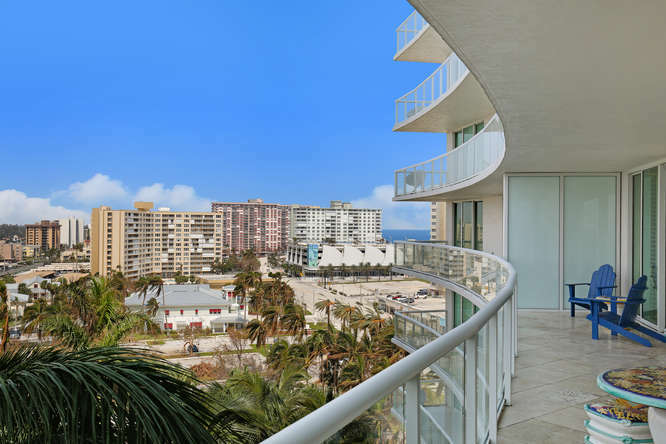 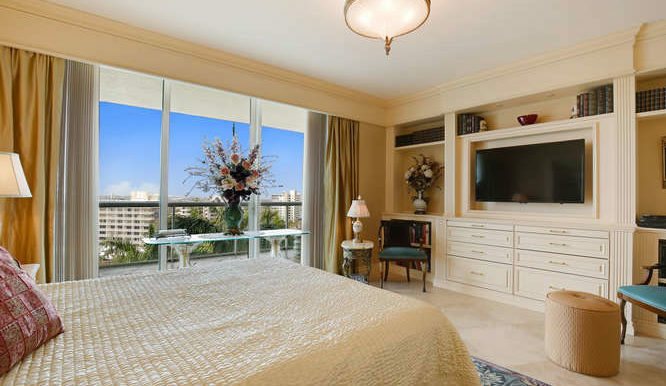 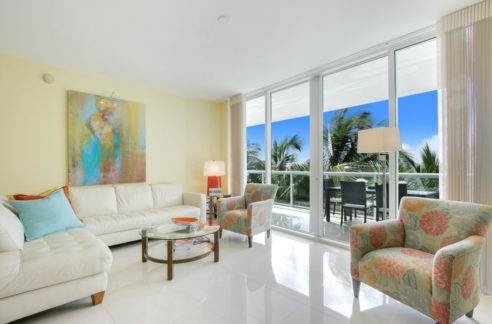 Floor to ceiling glass sliders from every room open up to unobstructed intracoastal, city, and sunset panoramic views. 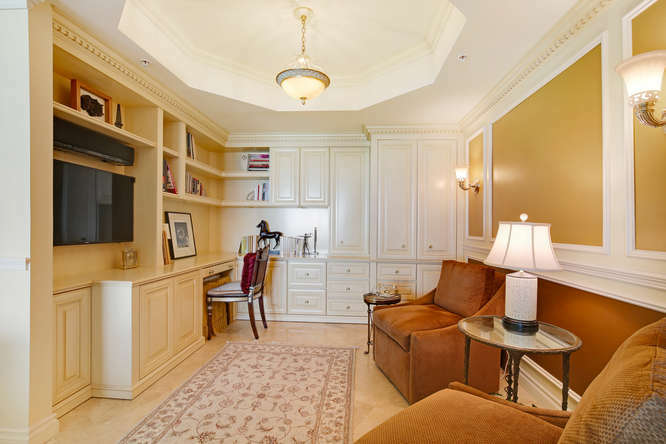 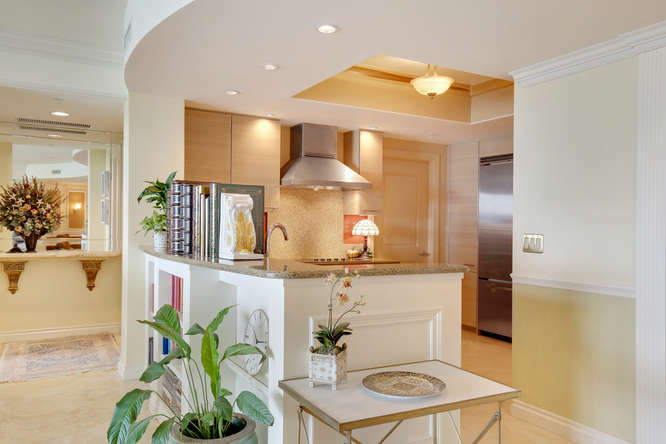 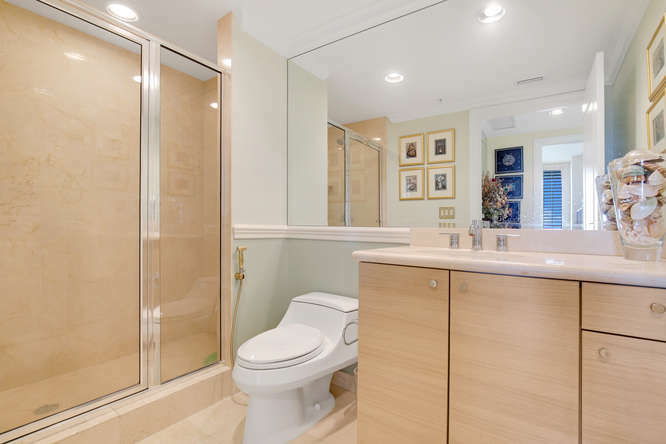 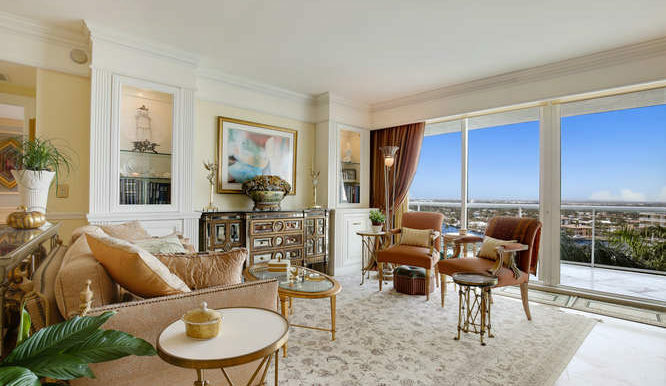 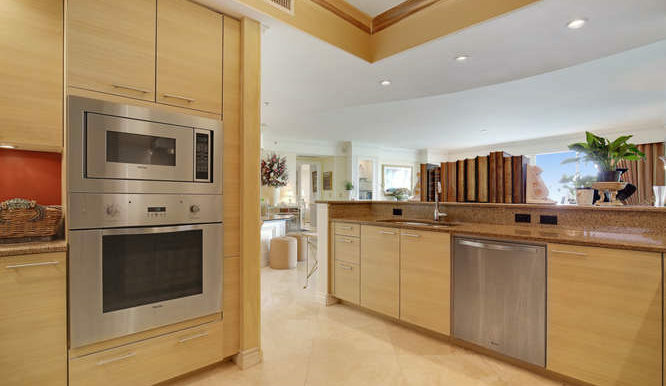 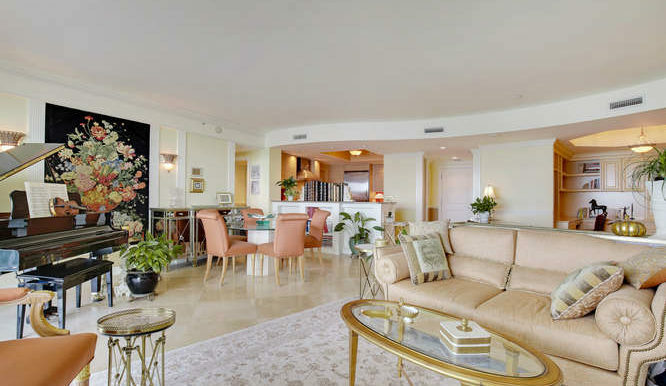 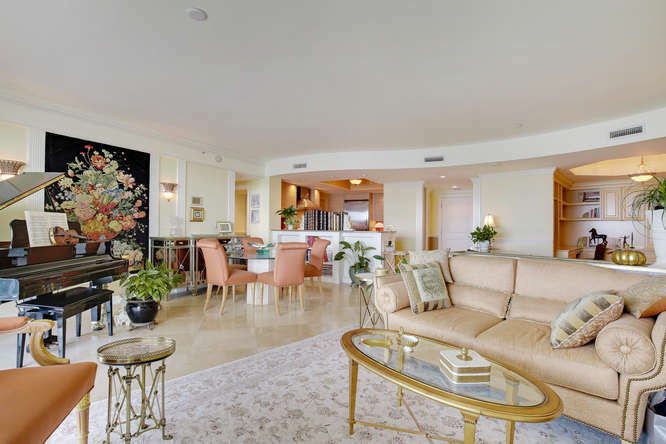 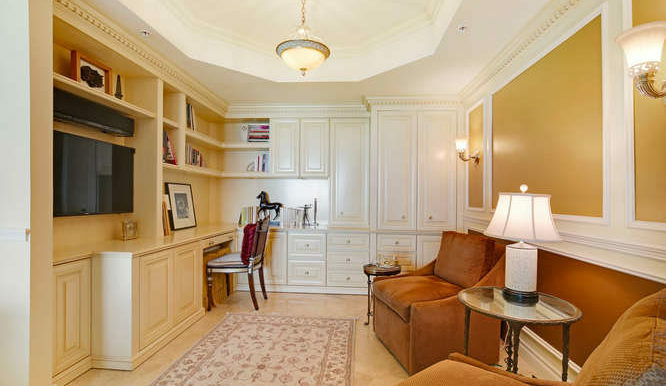 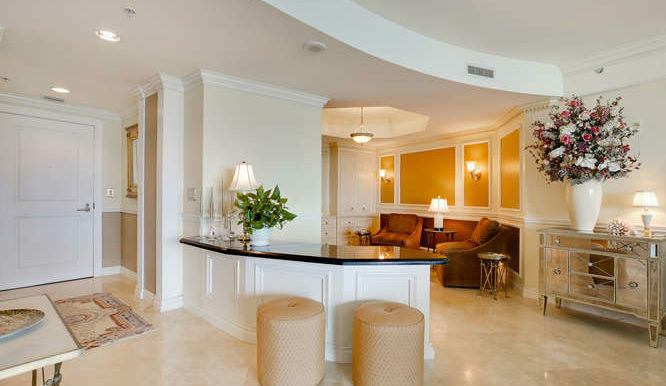 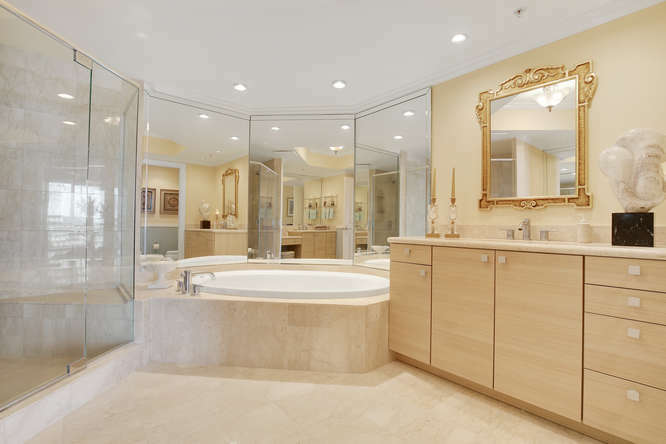 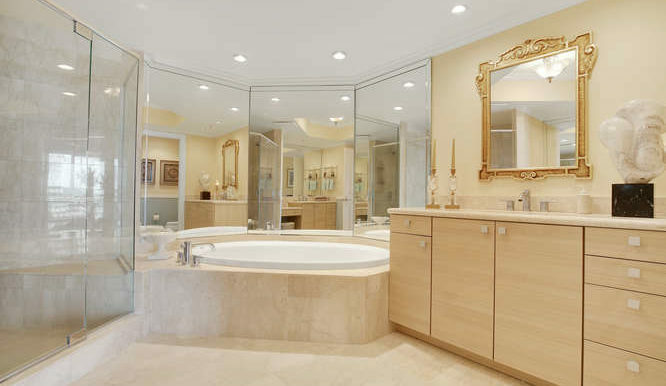 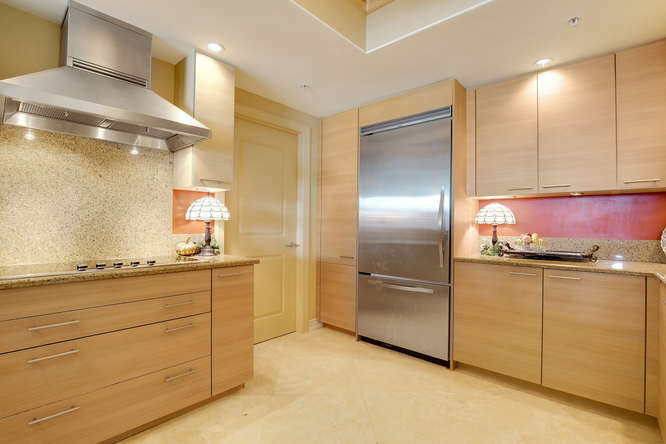 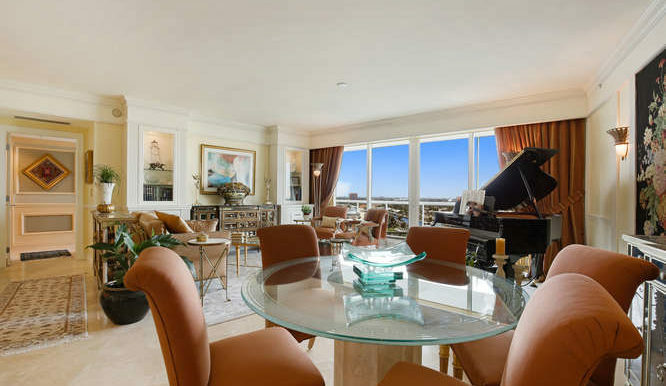 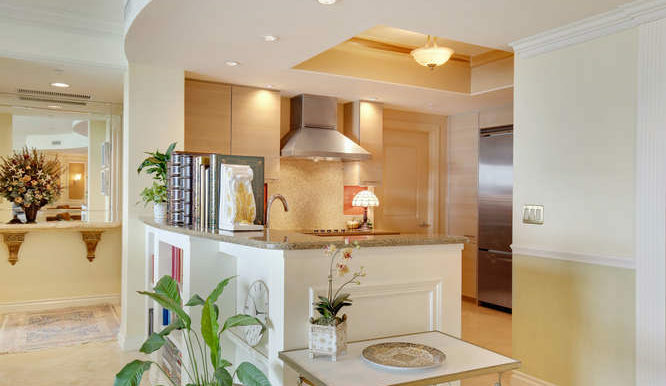 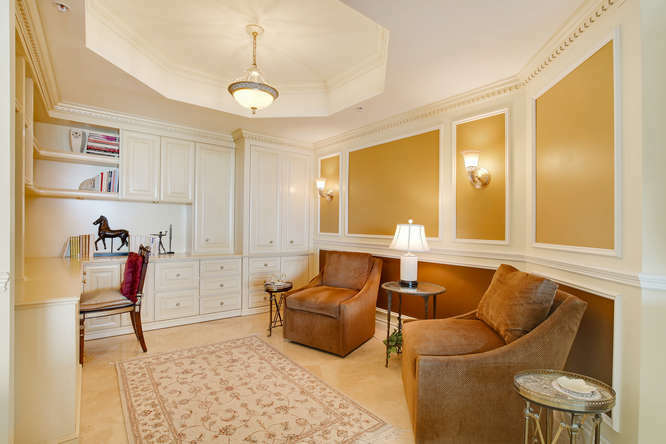 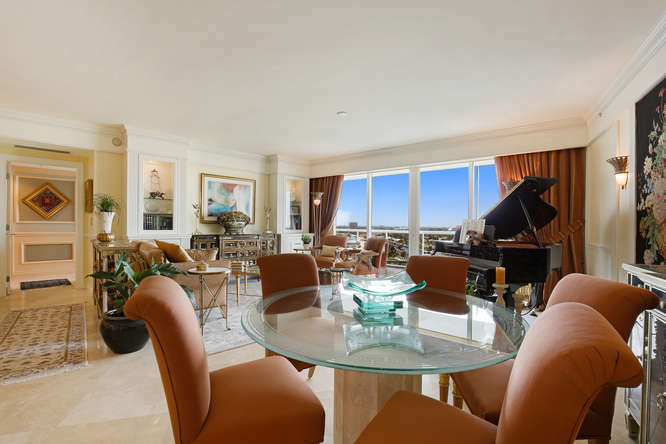 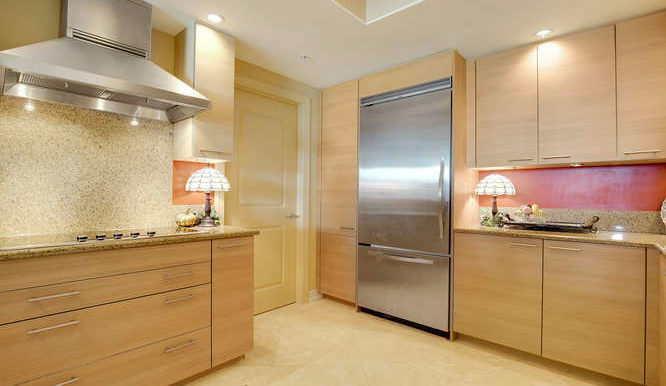 This stunning residence features exquisite special-order finishes and design with high-end custom cabinetry and built-in moldings, Travertine flooring throughout the interior and the terrace, and 2 parking spaces. 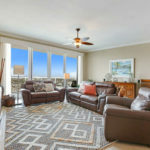 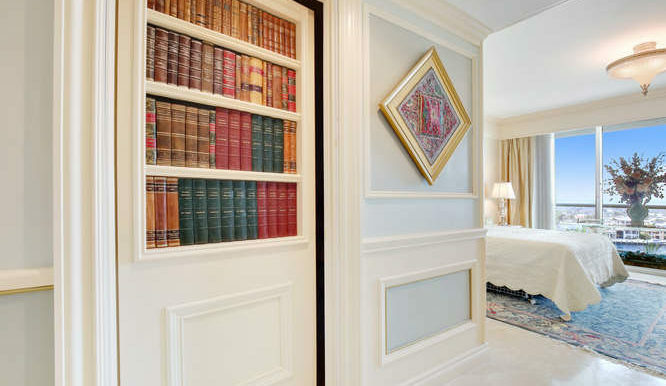 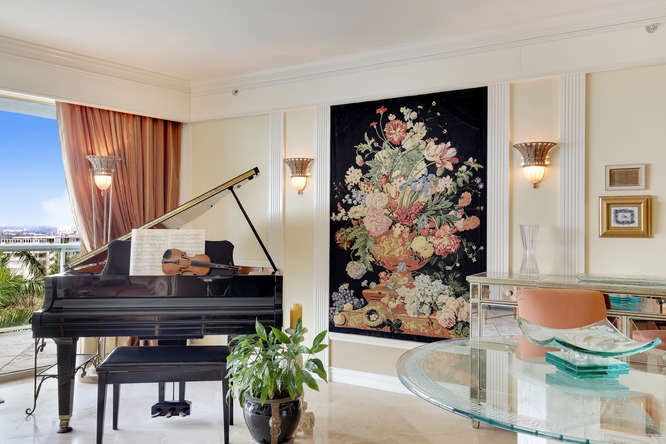 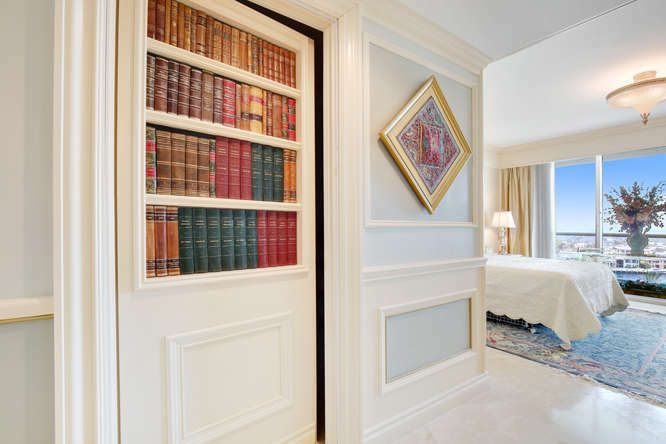 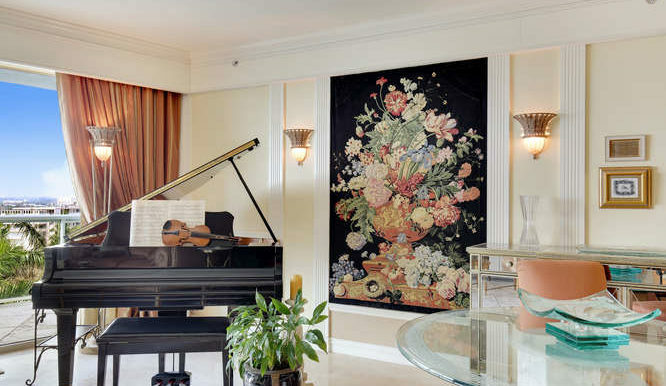 The stunning residence boasts gorgeous Belgian tapestry, a custom built Italian-designed ceramic terrace dining table, Onyx nightstands, authentic Turkish rug and a Lavaliere player piano. 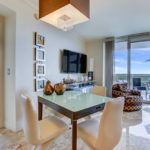 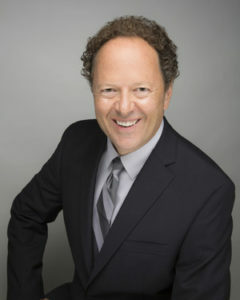 The Plaza at Oceanside provides a 5-star resort living experience with over 40,000 square feet of luxury amenities including a huge zero-entry infinity edge pool with hot tub, a new outdoor kitchen featuring 2 grills, sink, refrigerator and ice maker, and 2 newly-resurfaced tennis courts. 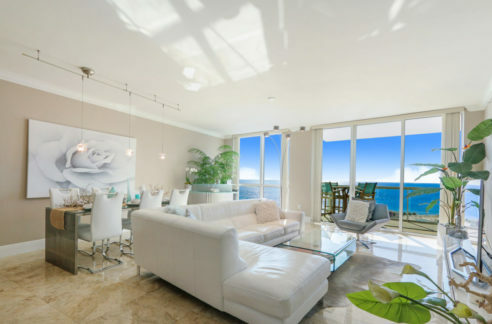 Inside, you will find an ocean-view state-of-the-art fitness center with his and her spas and treatment rooms, an ocean view club room with a catering kitchen and an oceanview bar, a large outdoor oceanview terrace, a billiards room with poker tables and TV/entertainment area, a private wine vault, a library/media center, a surround sound multi-tiered theater, a golf simulator room, an amazing News Cafe with daily concierge breakfast, kids room, teens room and on and on.